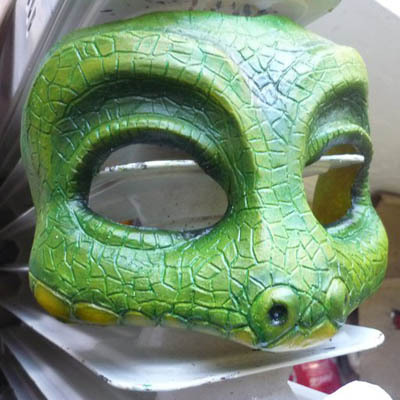 A latex Gecko prosthetic mask. This can be ordered painted or furred according to your requirements. 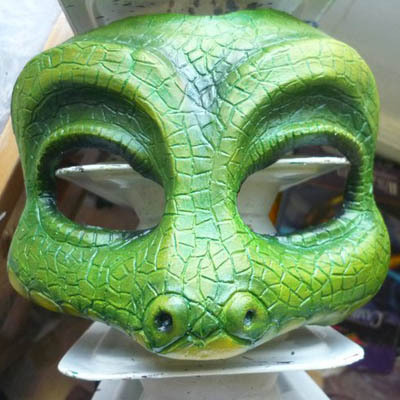 Masks are sold lined with felt and with an elastic strap. Dreadlocks can be attached to this mask to cover the back of the head.